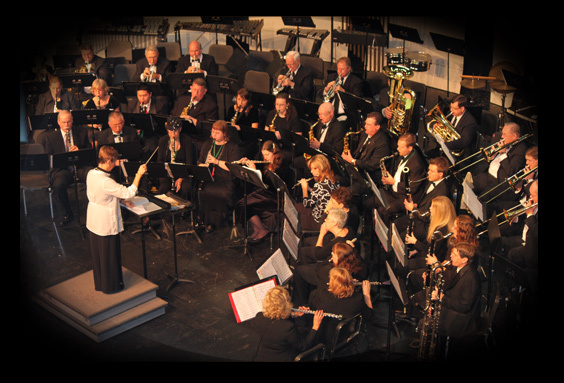 The Brentwood Concert Band™ was formed on April 4, 2005 by Music Director Bruce Stuart, the City of Brentwood Arts Commission, Director Rebekha Burr-Seigel and Arts Commissioner Kermit Sveen. At its first rehearsal, over 70 musicians attended, truly amazing since Brentwood had not had a band since the late 1800&apos;s. During its first year, the Band had 12 performances, including the Delta College Community Band Festival, the City of Oakley&apos;s Summer Under the Stars outdoor concert series and a Holiday Concert at Liberty High School&apos;s Performing Arts Center in Brentwood. In 2006, the Band played for the dedication of the Veteran&apos;s Park in Brentwood. The Band played for the 4th time in the Brentwood park series, Starry Nights, in June 2012. For three summers in a row, the Band was invited and played in the Golden Gate Park Band Festival. The Band often provides music at the annual East County Historical Society opening day in the spring. In January of each year, the Band combines with the Liberty Symphonic Band for a benefit concert. Proceeds go to the Stuart Music Fund, which promotes young musicians through scholarships for lessons, honor groups and camps. The Stuart Music Fund also awards two $500 scholarships to Liberty High School musicians at the annual scholarship awards night in May. The Band usually has 40-50 members playing at various performances. Members come from Brentwood, Oakley and other East County areas. Members range in age from high school to well into maturity! The Band&apos;s repertoire includes show tunes, marches, traditional band music, specialty music, and pieces featuring soloists and small ensembles. After Bruce&apos;s passing in June 2008, the conducting responsibilities passed to Sue Stuart and Carey Hurst. With Sue Stuart&apos;s retirement as co-conductor of the Brentwood Concert Band in January 2016, Carey Hurst continues as sole Conductor. Interested musicians are urged to contact us!